N Lombard Street at N Fortune Avenue looking northwest, 1964. City of Portland (OR) Archives, VZ 353-64 : N Lombard St at N Fortune Ave looking northwest, A2011-013, 1964. 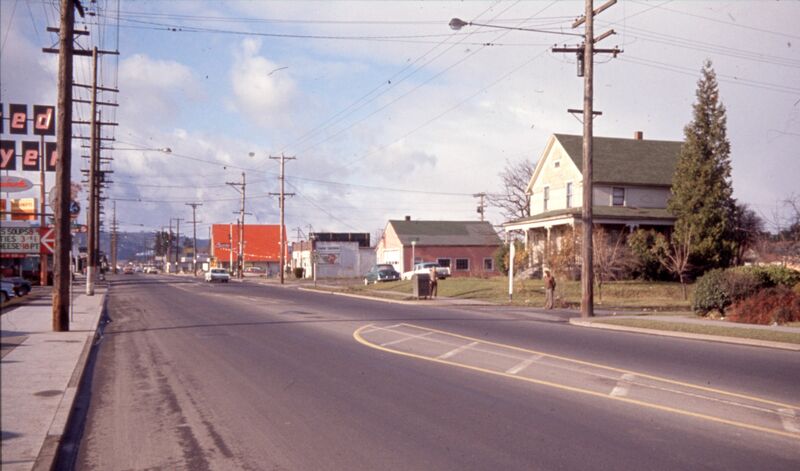 N Lombard Street at N Heppner Avenue, 1964. City of Portland (OR) Archives, ZC 4581 : N Lombard St at N Heppner Ave, A2011-01, 1964. N Gilbert Avenue near N Lombard Street, 1968. 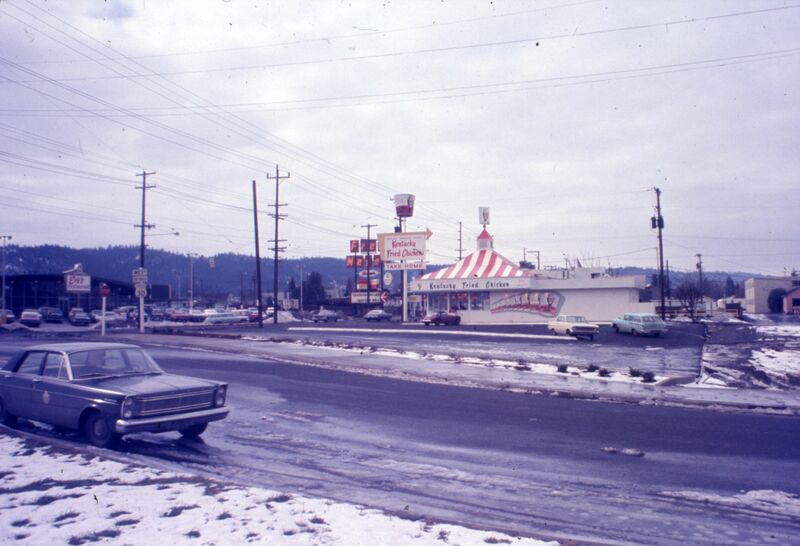 City of Portland (OR) Archives, ZC 5488 : N Gilbert Ave near N Lombard St, A2011-013, 1968. 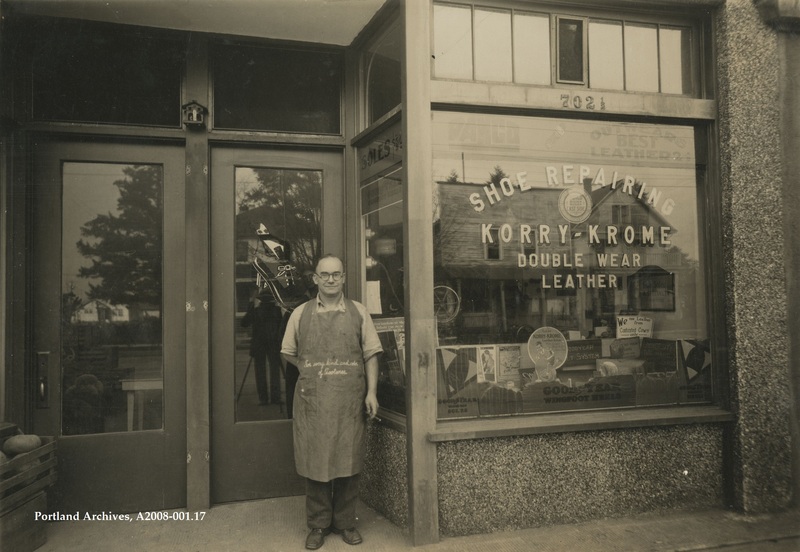 Korry-Krome Shoe Repair located at 4282 N Lombard Street, circa 1931. City of Portland (OR) Archives, A2008-001.17. 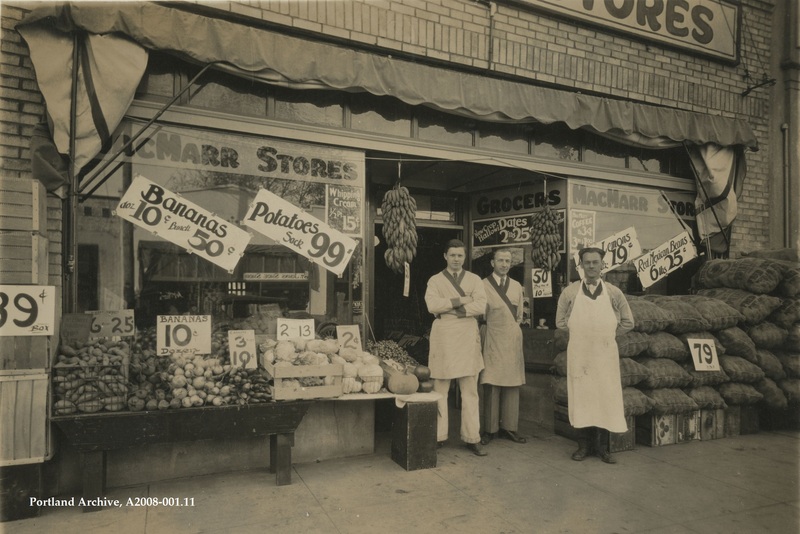 Exterior of the MacMarr Store located at 8416 N Lombard Street, circa 1930. City of Portland (OR) Archives, A2008-001.11. 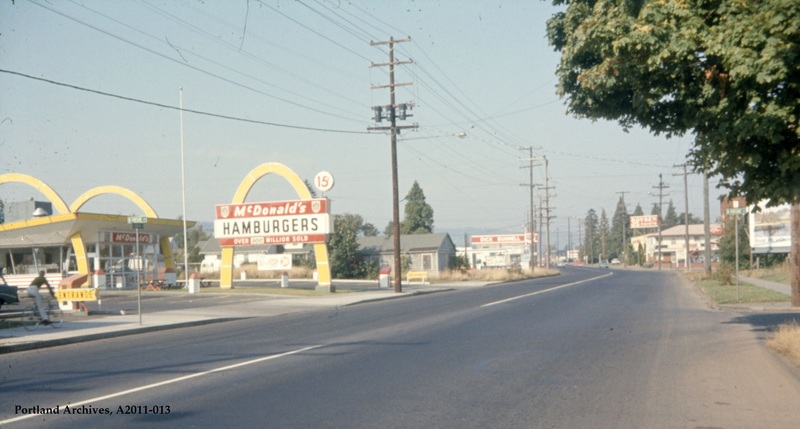 Looking north on N Portsmouth Avenue from N Lombard Street, 1963. 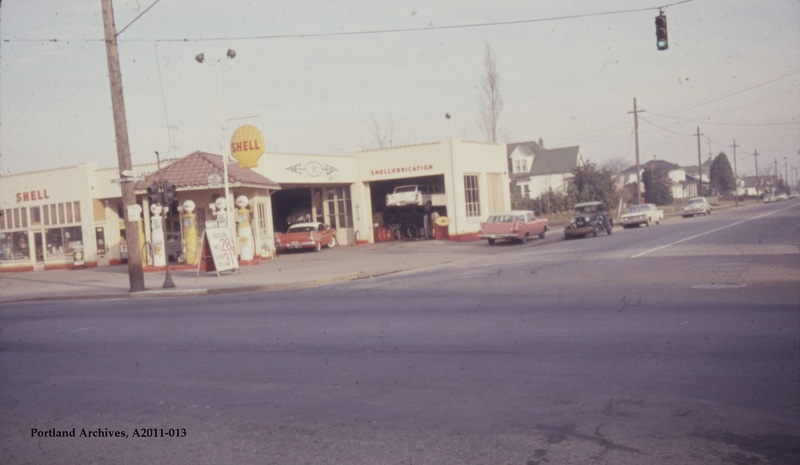 City of Portland Archives, Oregon, Shell gas station on N Lombard Street at N Portsmouth Avenue looking north (VZ 17-63), A2011-013, 1963. View this images in Efiles by clicking here. 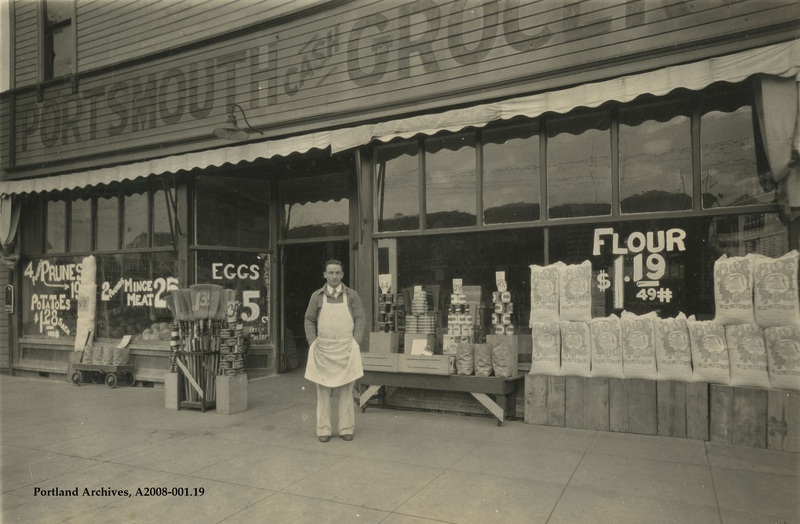 Portsmouth Cash Grocery, located at 5303 N Lombard Street, circa 1932.